Can Indoor Plants Affect your Business Productivity? Businesses all over Australia – and indeed all over the world – are constantly looking for innovative ways to boost staff morale and increase positivity. With stress and sickness on the rise in the workplace, how can a business invest in a few cost-effective ways to change the current landscape and achieve a happier, healthier workforce? At Gaddy’s Indoor Plants, we reckon we’ve found at least part of the answer – and we’re pretty sure that you won’t have already considered this unconventional yet scientifically proven ideology. They’re essential for life on earth – their intricate, finely balanced anatomy mirrors ours perfectly to create an environment in which we can all live in harmony. Considering this, it makes a lot of sense that they should have the same positive impact indoors as they do outdoors. You may already know that any plants have air cleaning properties – some more than others. This is because, simply put, plants breathe out oxygen and take in carbon dioxide, whereas we do the opposite. 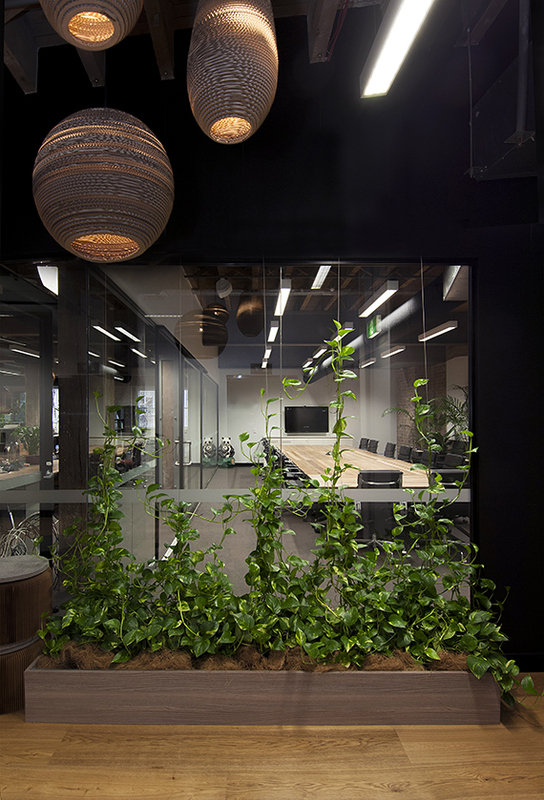 The result of having plants around which emit at high levels and frequencies is an environment rich in fresh oxygen for employees to breathe in. Aloe Vera, Rubber Plants and Bamboo Palms are all excellent choices for air purification. One thing you might also already be familiar with is the ancient Japanese discipline of Feng Shui. Plants are incredibly important elements in Feng Shui – they add vibrant ‘chi’ or energy to a space. 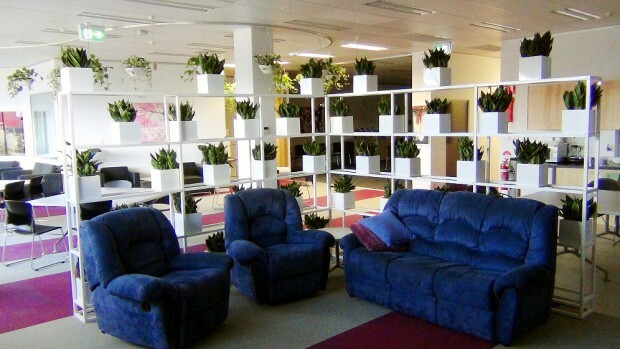 Placing plants in the corners of room and at the entrance to an office is often recommended for increased brain power. Some employers believe that an office ‘without distraction’ makes for a more productive workforce – but in actual fact, the opposite is true! Late last year, a study carried out by psychologists at Exeter University in the UK discovered that a working environment void of souvenirs, photographs, personal knick-knacks and plants is ‘toxic’ for the human brain – and as a consequence, workers were unhappy and less productive. Interestingly, the subjects they tested who had a plant in sight all day were much happier and in response their productivity increased as a result. Stress is also a major problem in the modern day office – and stress is not only a killer for mental and physical wellbeing but also has a negative effect on productivity and the quality of work carried out. Plants have been shown to have a calming effect on the brain and therefore can combat stress. Another study showed that having plants in the vicinity can make us 47% more productive and creative and boosts wellbeing as a result. Perhaps that’s because it’s beneficial to be close to nature in some way, especially if you’re often cooped up indoors all day in a stuffy office. Nurturing plants and seeing them flourish as a result of care and attention can make employees feel happier and more satisfied on a daily basis. Lastly and possibly most obviously, plants are aesthetically pleasing. They’re easy on the eye, lovely to look at, and add soft, natural decoration to any space. There are so many different sizes, species and types of plant to choose from – so no matter what the size or style of your office, you’re bound to find a plant which is perfect for you. Imitation plants are no match for real life plants – they simply don’t have the same benefits for overall mental and physical health as these living, breathing organisms do. If you’d like to learn more about how plants can positively influence your business and plant hire in Sydney, then why not take the plunge and invest in some greenery for your office?